Thank you for stopping by. 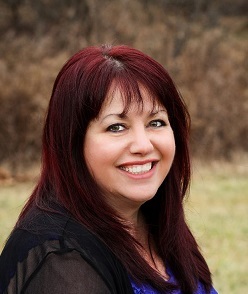 My name is Sigal Waters & I am a full-time Residential Real Estate with RE/MAX Professional Realty. I strive to provide a superb level of customer service that is combined with excellent negotiation skills, consistent communication throughout the real estate process, and enthusiasm for developing long lasting business relationships. I pride myself in being attentive to my clients and treat them as I would like to be treated. I am passionate & excited to share my unique approach to selling your home and help you make smart & educated decisions when buying your next home. Sigal was fantastic to work with and did an excellent job! She knew all the right people to consult with for staging the home, building an effective video representation and assembling the internet presence. Sigal accommodated our unique needs due to selling the home remotely and helped coordinate the various services that required access to the property. She took us all the way through the process, including supporting the closing and final turnover. We were so excited that the house sold in four days, for more than asking price, and closed 5 weeks later! It was the perfect outcome and absolutely attributable to Sigal's guidance and expertise. Thanks, Sigal! Rick K.